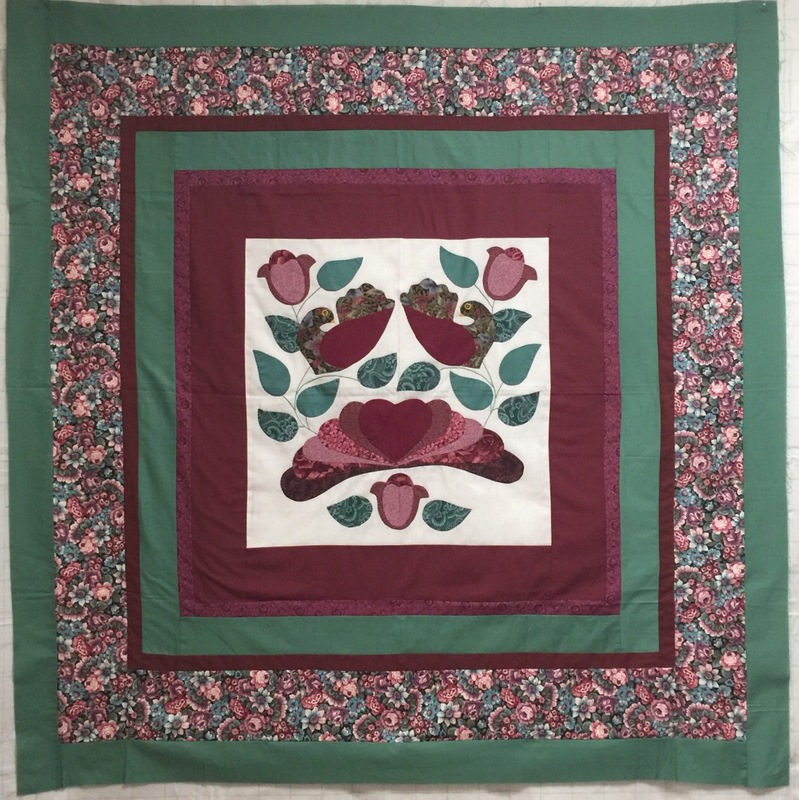 I recently had this quilt top dropped off to me for quilting. It was purchased at an Amish quilt auction. The person that dropped it off was not the owner. So I’m waiting to hear back on what she wants me to do. In the mean time, I played around a bit to try out some custom work on it. It’s a good thing I quilt better than I draw! I used to use the Adobe Ideas app to try out quilting designs. This app was discontinued and since updating my iPad, it no longer works for me. I found a new app that I’m trying out called You Doodle. It is available on the Apple App Store for free. 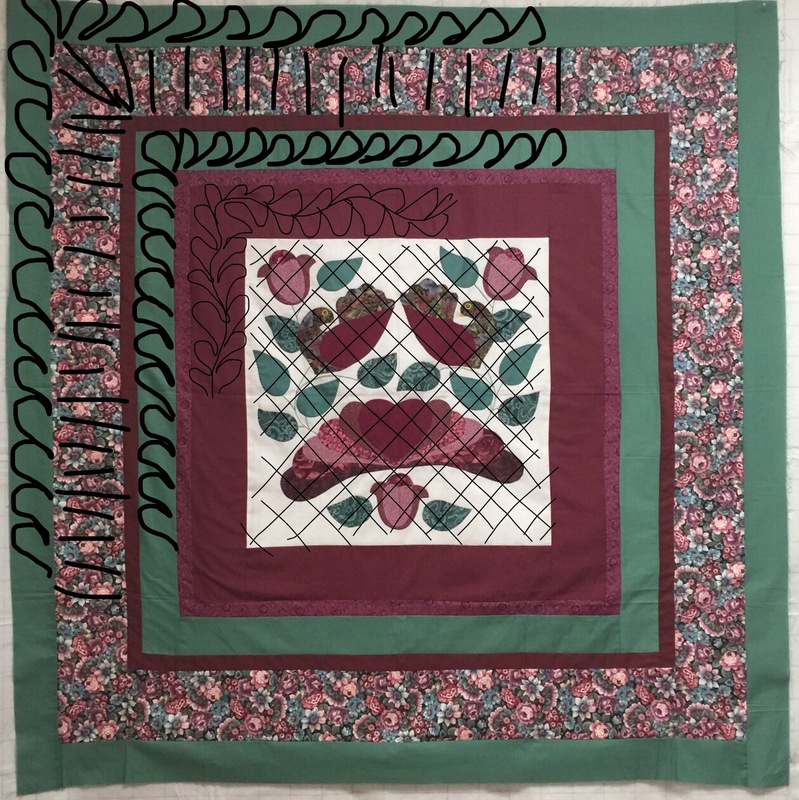 This entry was posted in Customer Quilts, Long Arm Quilting, Longarm Quilting. Bookmark the permalink. Your drawing on the photo looks pretty good to me! She’s going to love it! Thanks for the app suggestion. I’m going to try it out! Thanks for the info on the app! I’m gonna check that out.